Thanks to automatic suction of the waste water, the stainless steel FRV 30 Me Surface Cleaner allows surface cleaning to be more efficient. 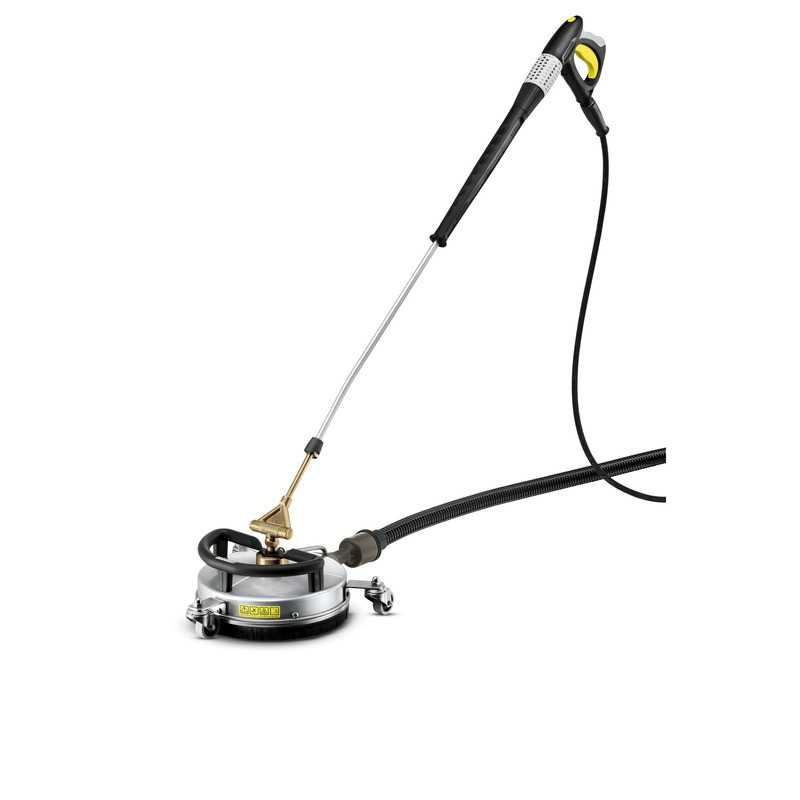 The FRV 30 Me features a temperature resistant 7.5m polyurethane suction hose, allowing hot water cleaning up to 85 °C. Additional features include, non-marking steering rollers and double ceramic bearings. (Machine specific nozzle kit must be ordered separately).